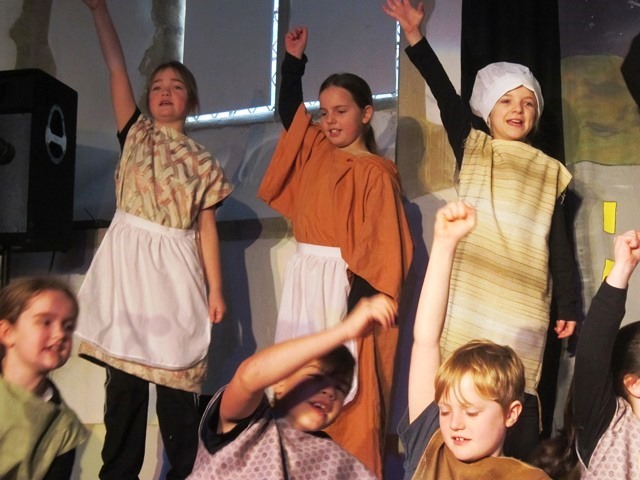 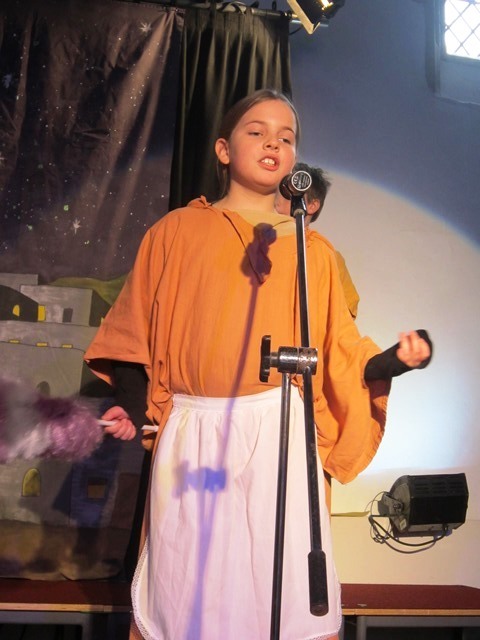 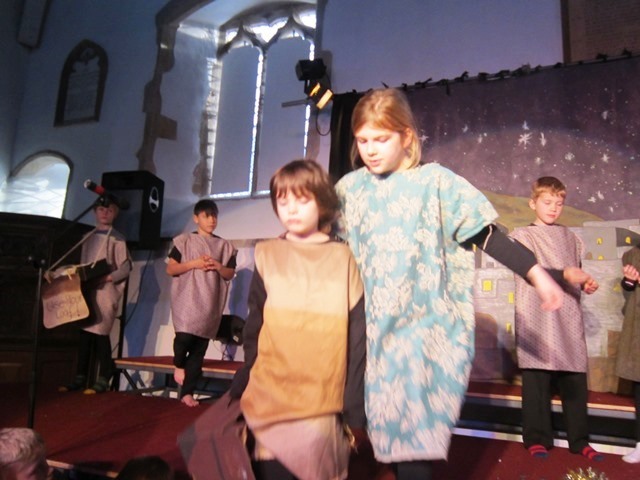 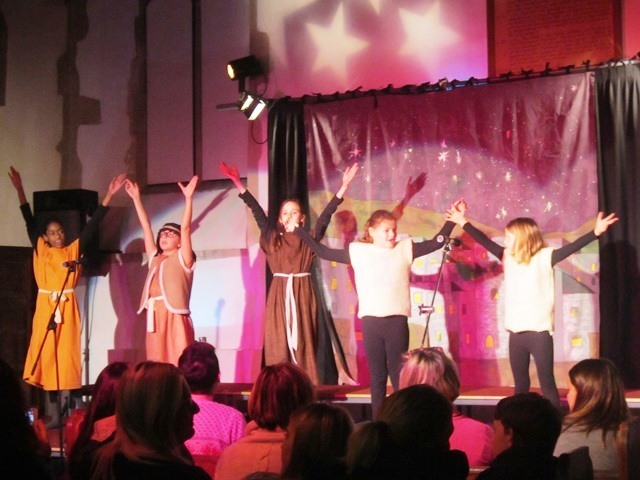 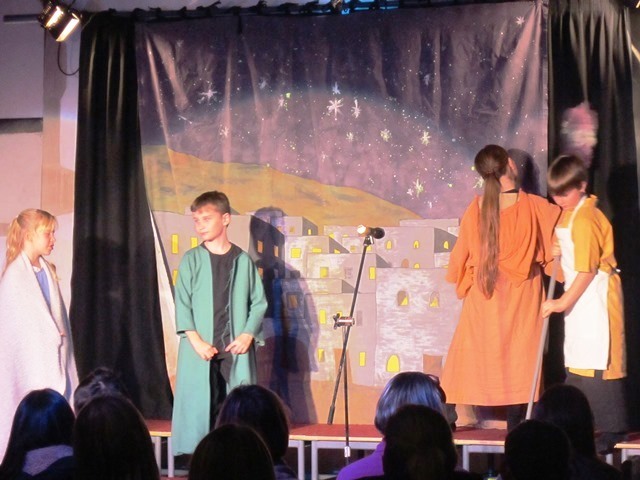 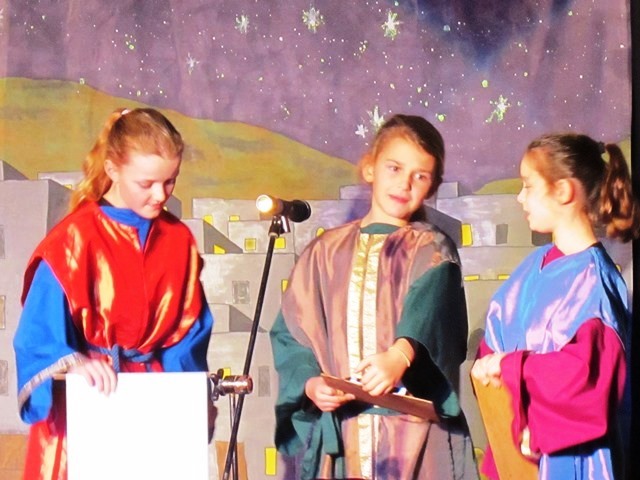 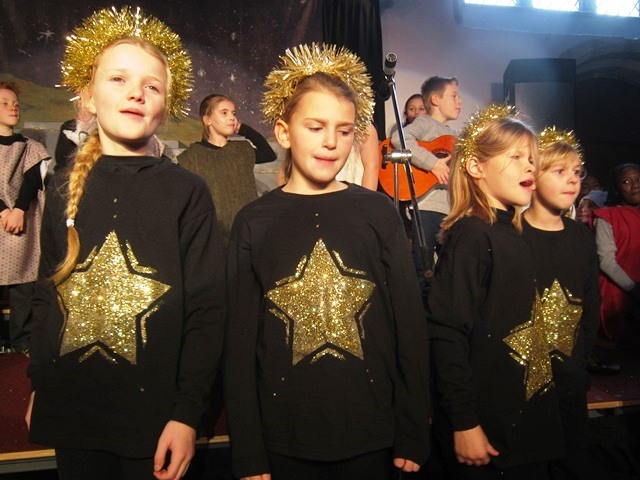 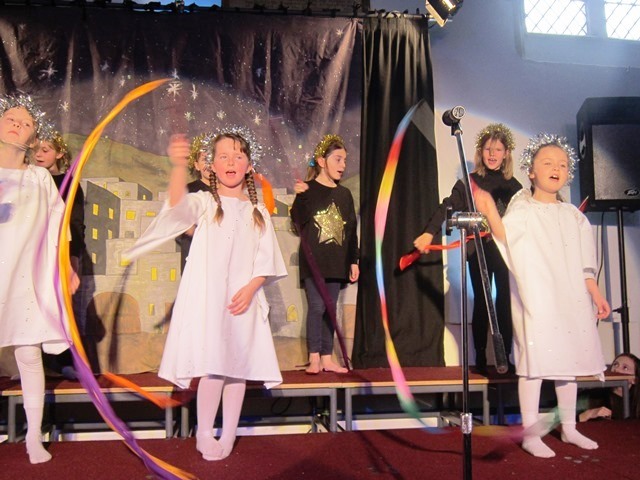 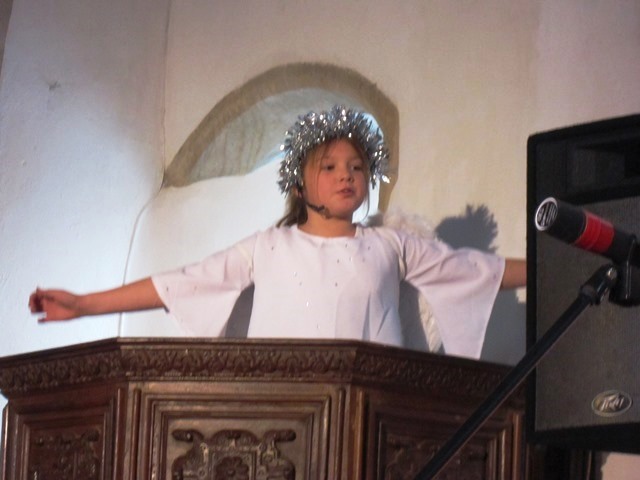 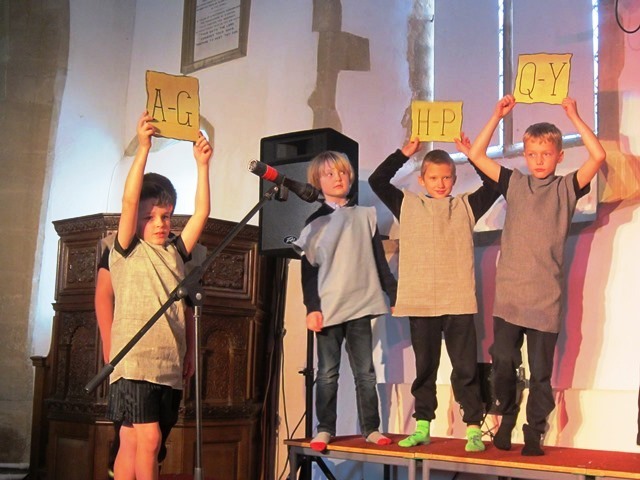 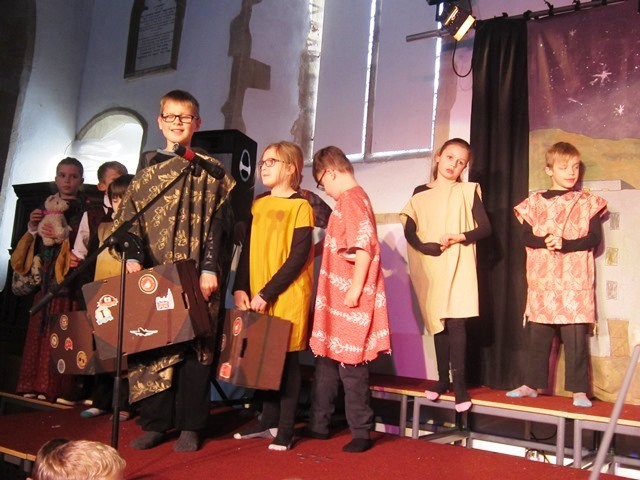 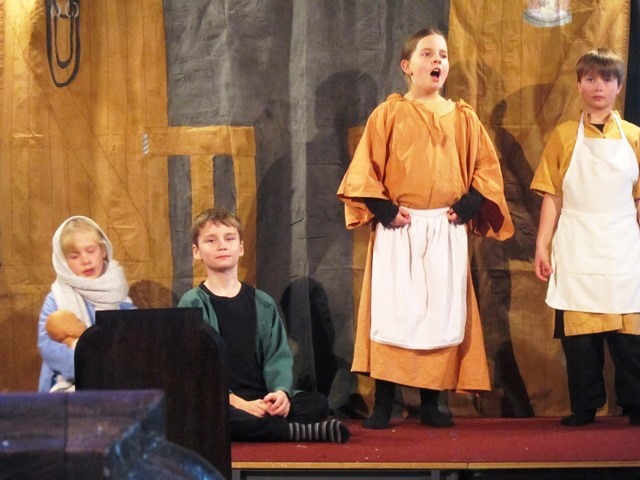 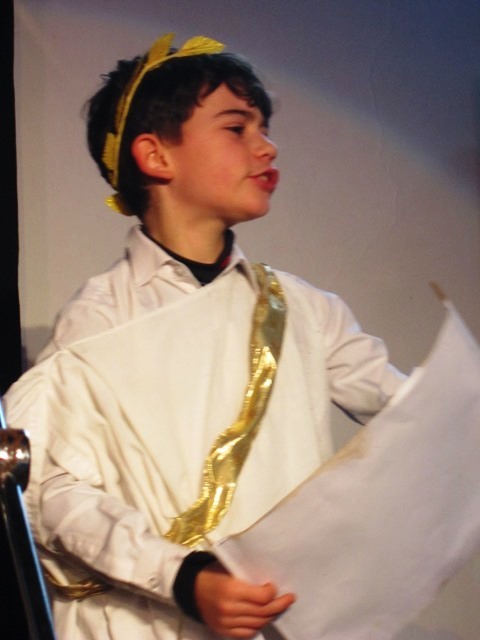 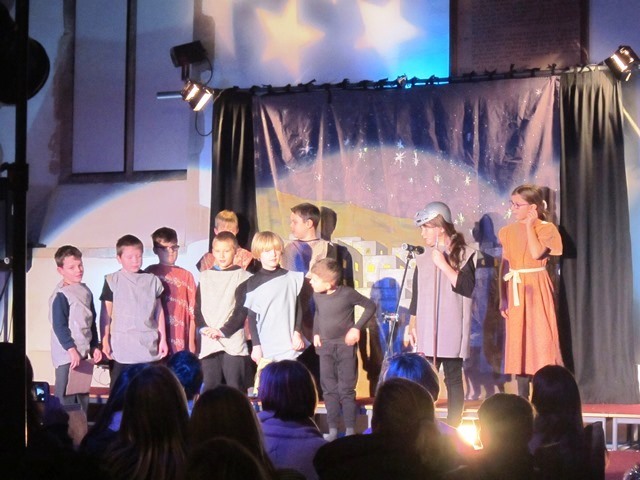 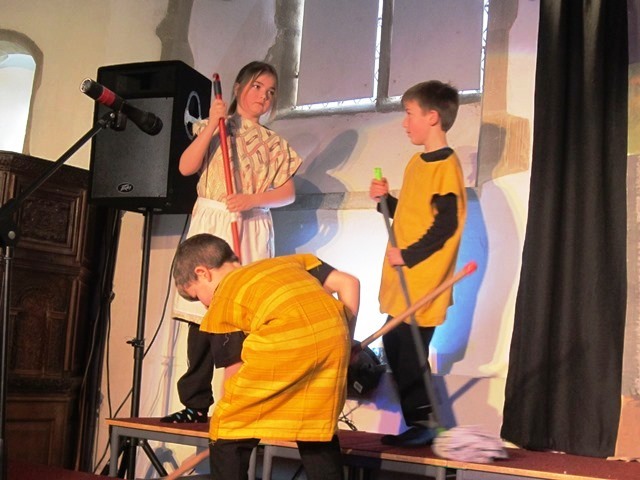 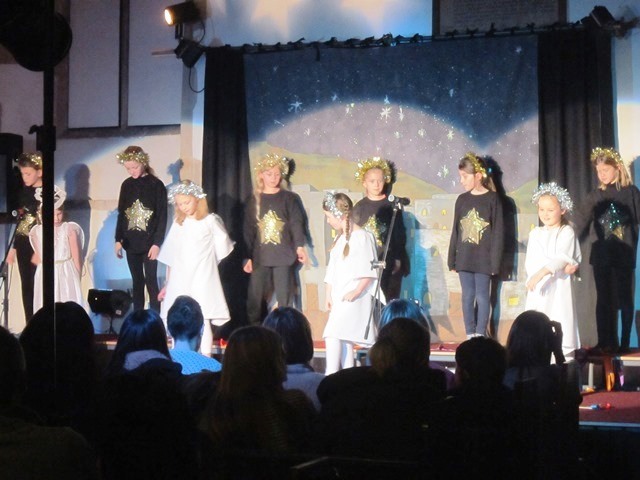 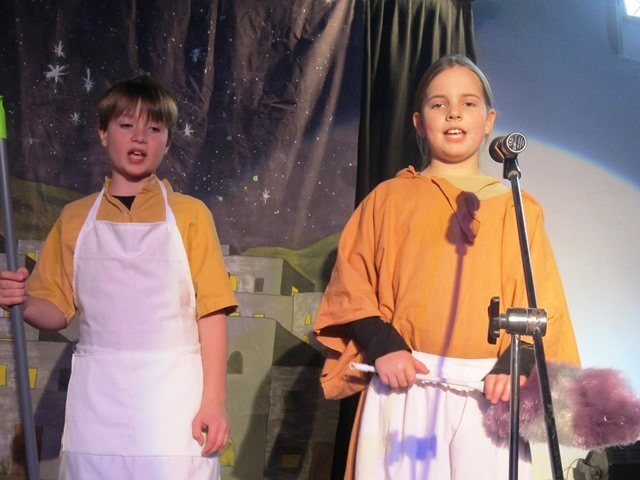 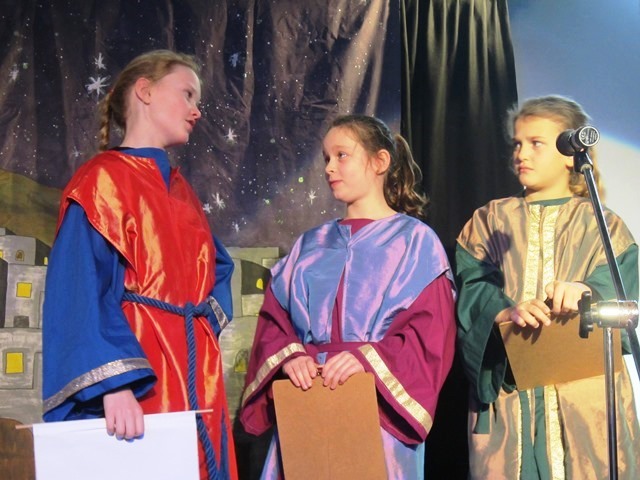 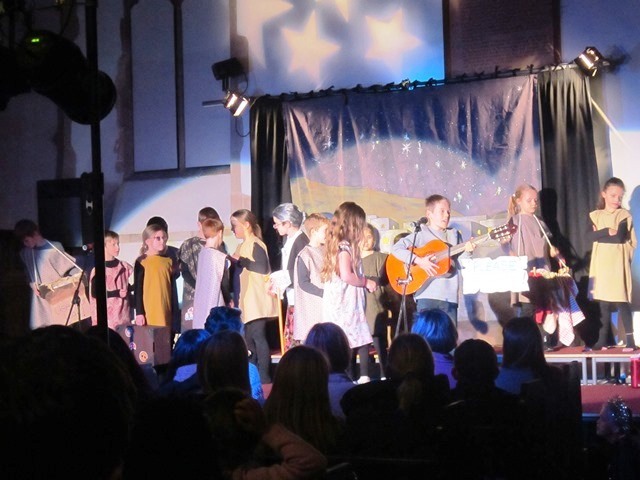 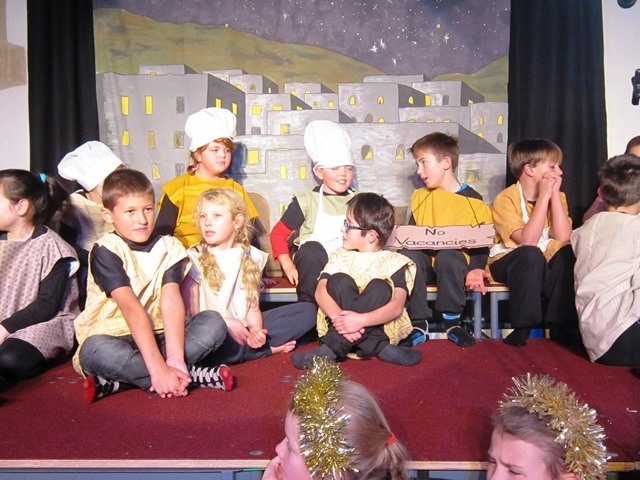 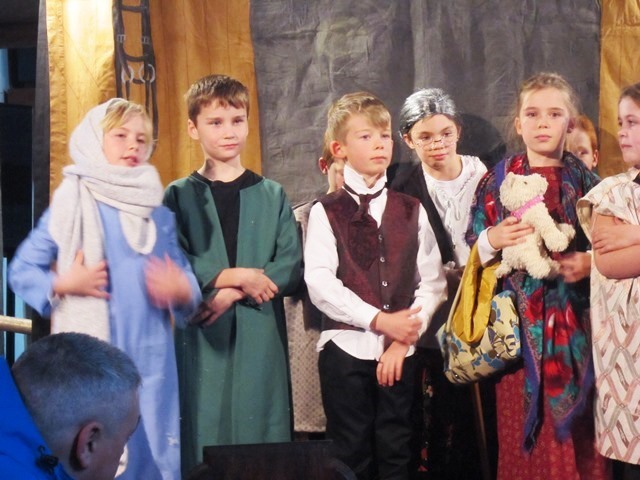 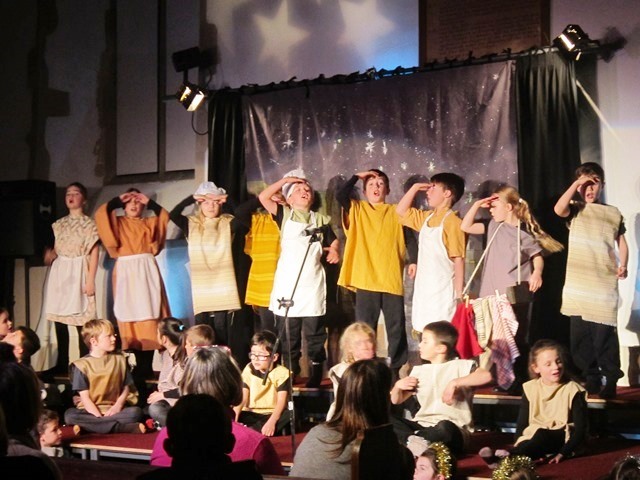 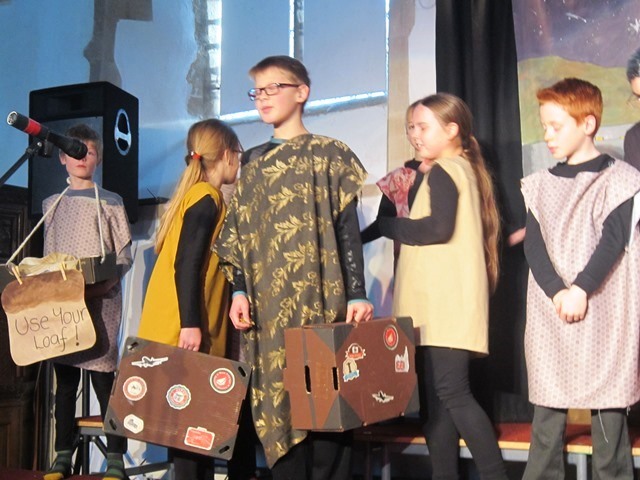 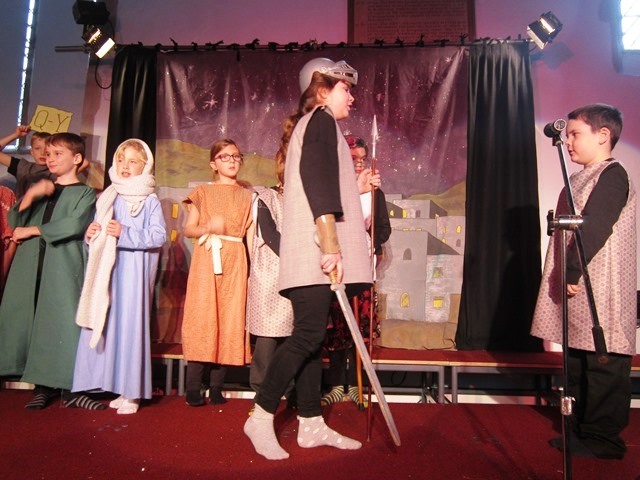 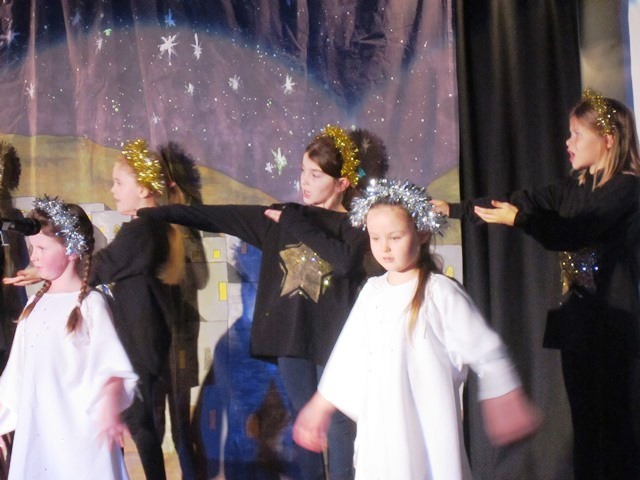 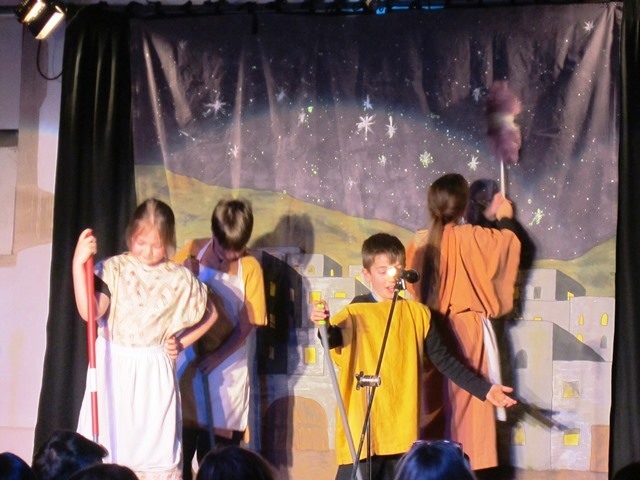 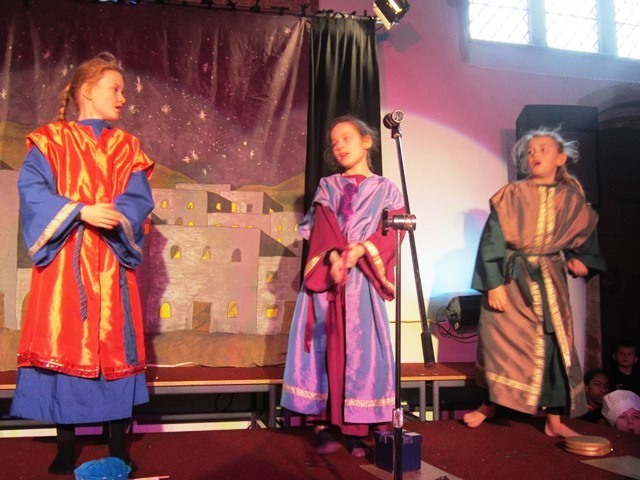 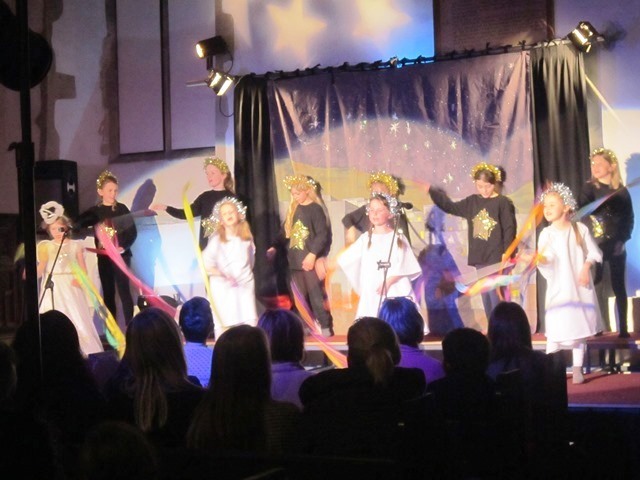 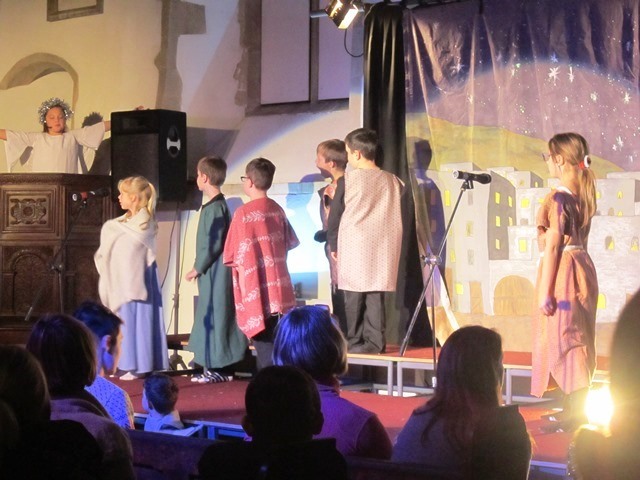 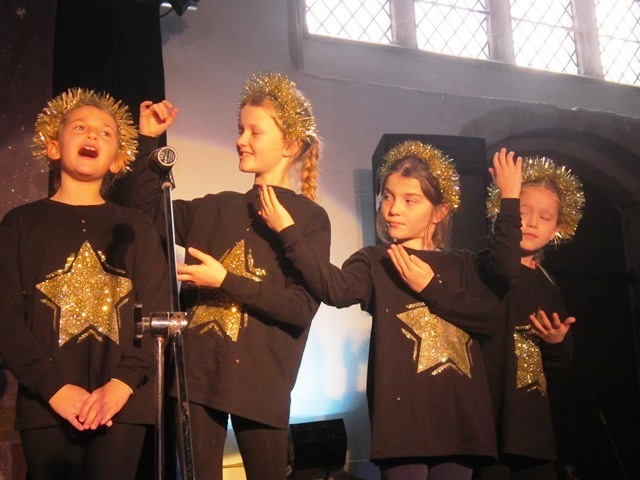 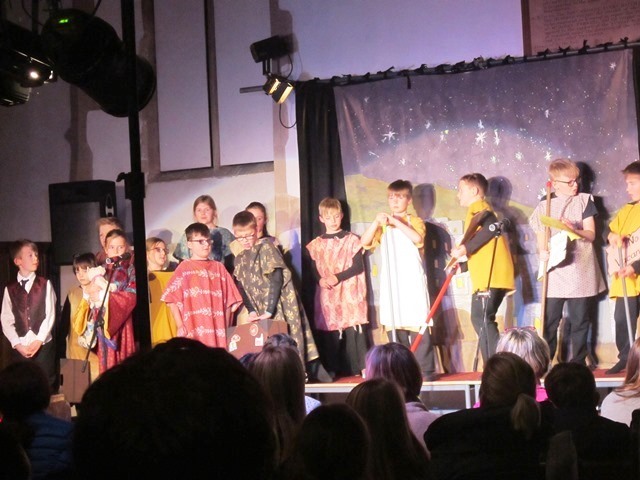 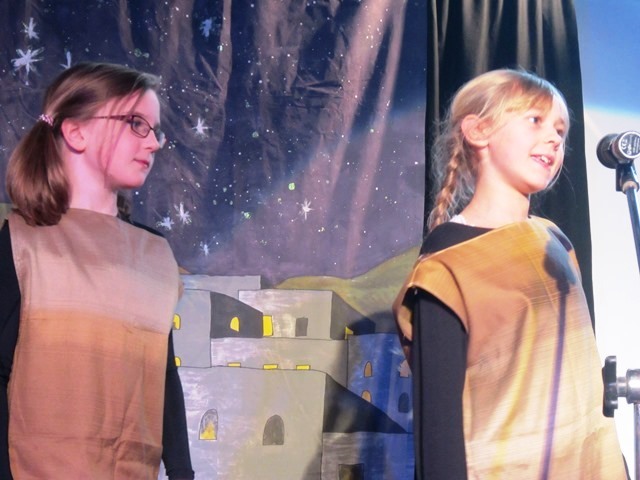 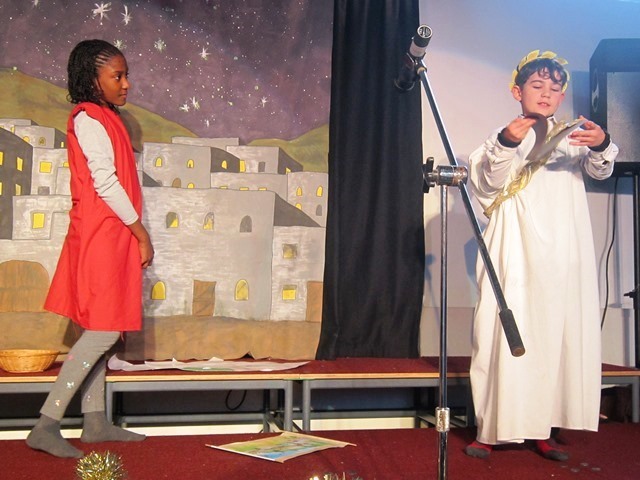 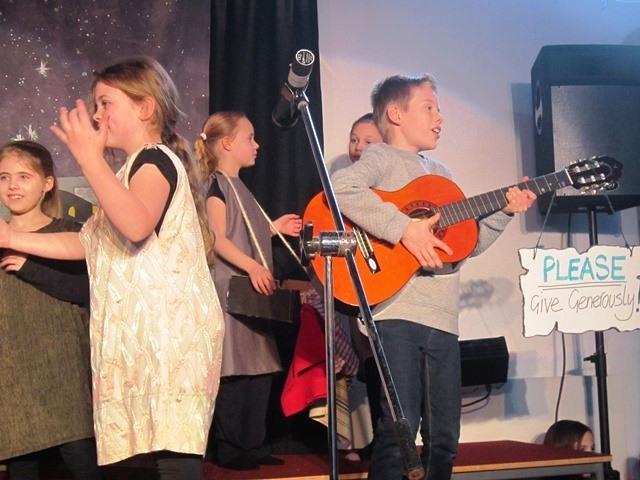 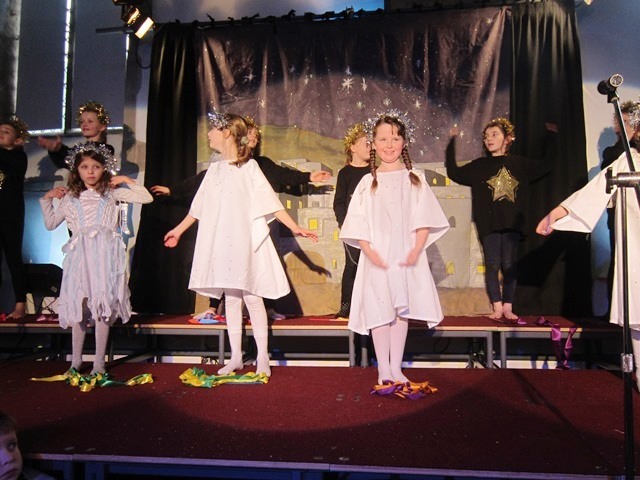 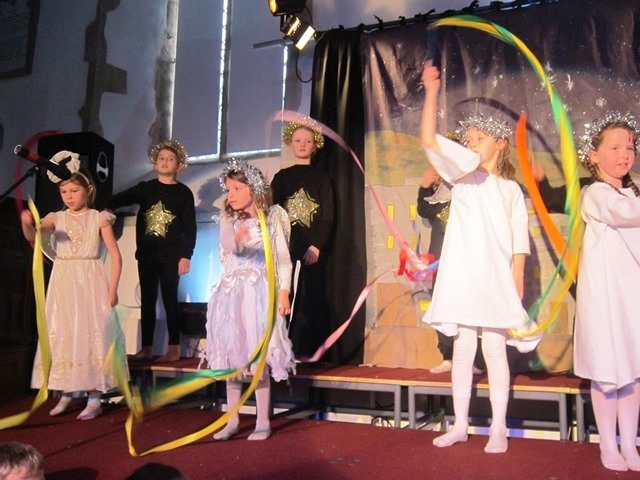 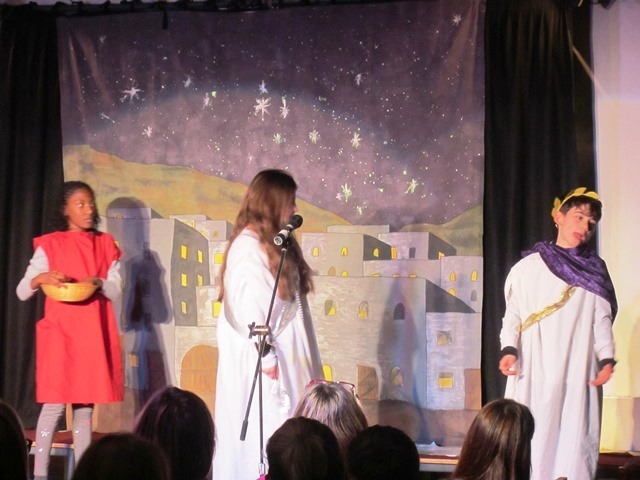 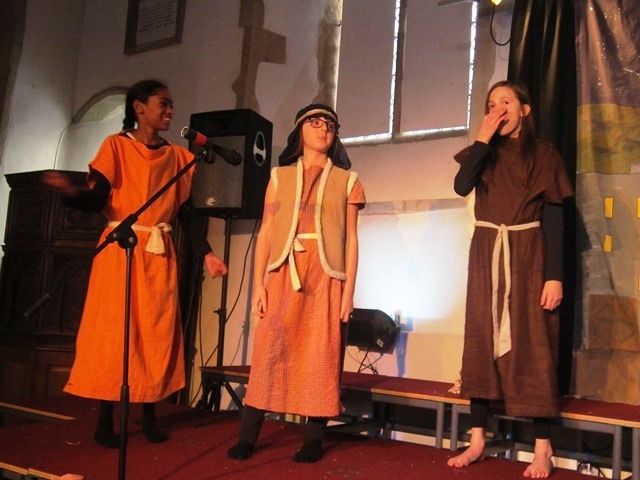 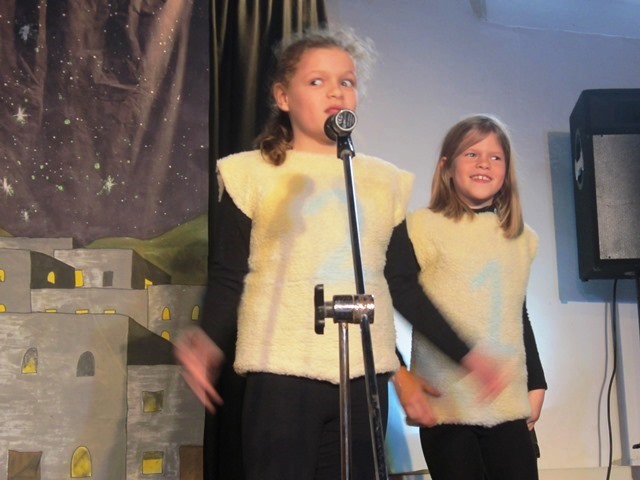 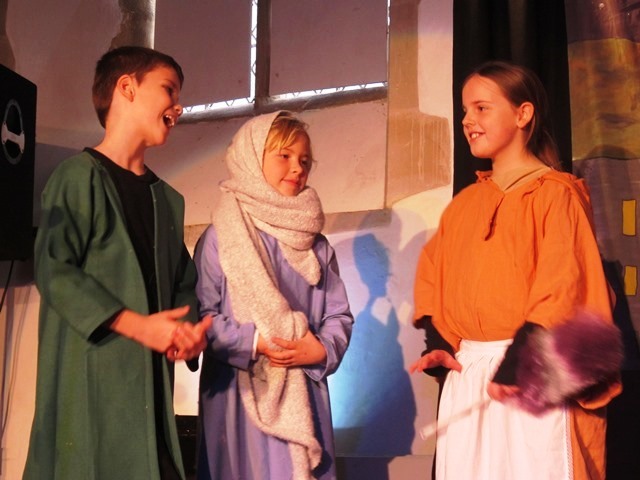 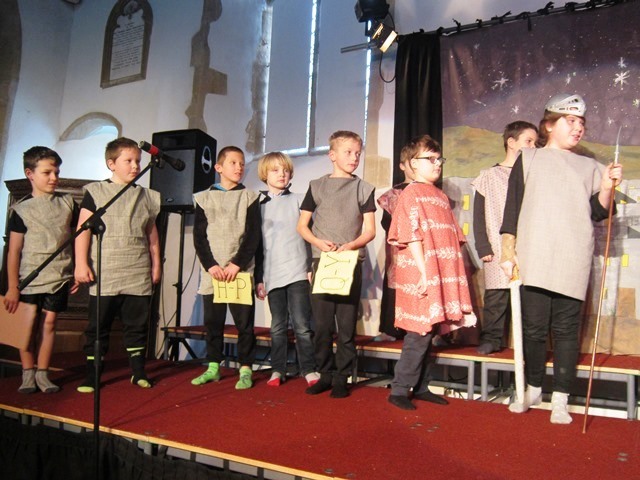 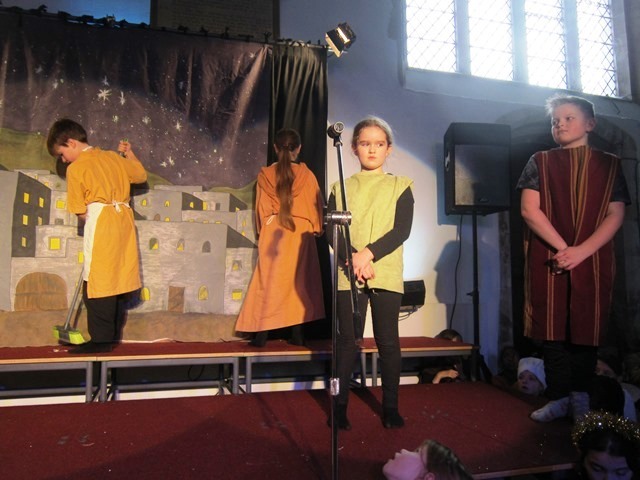 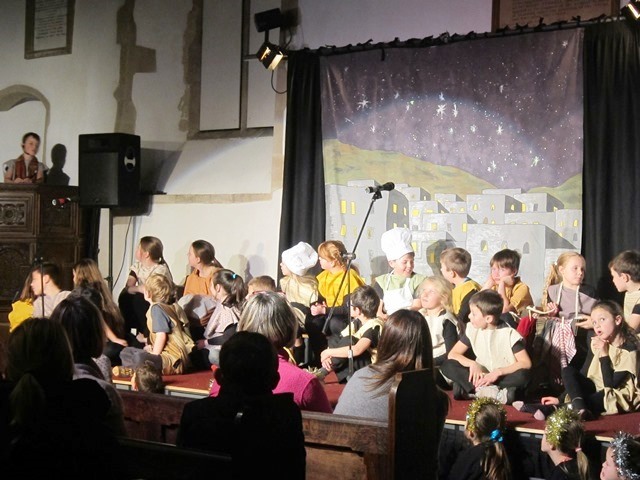 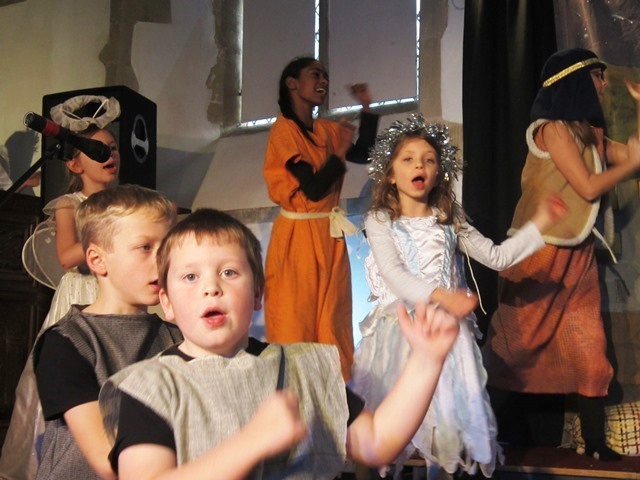 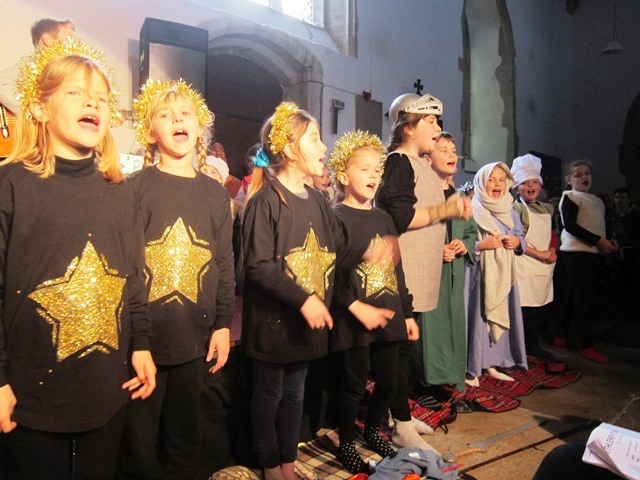 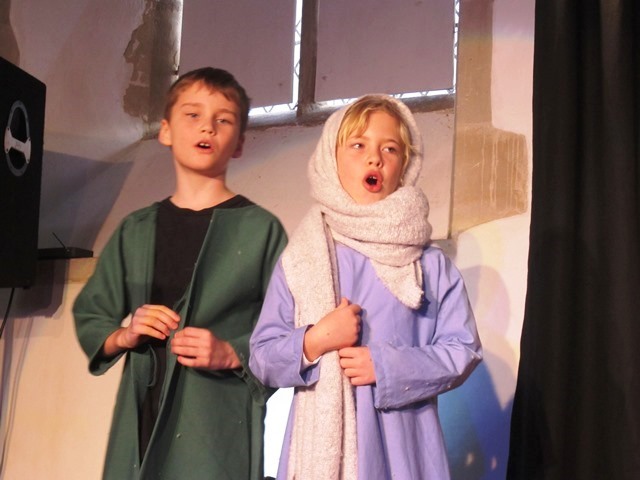 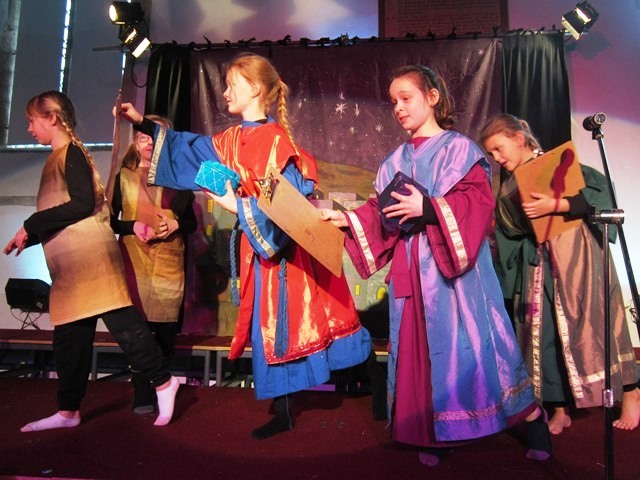 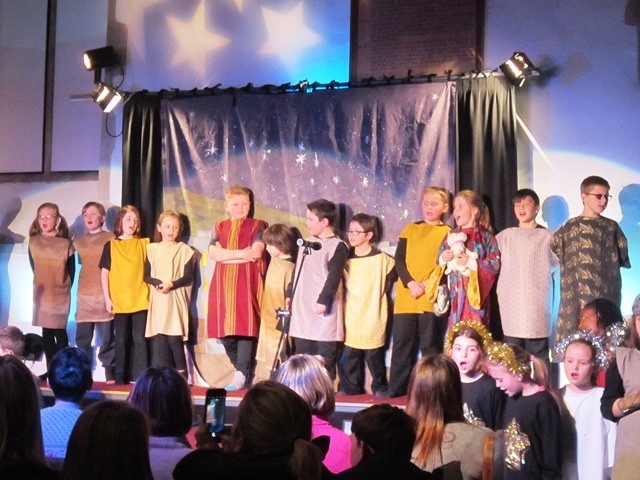 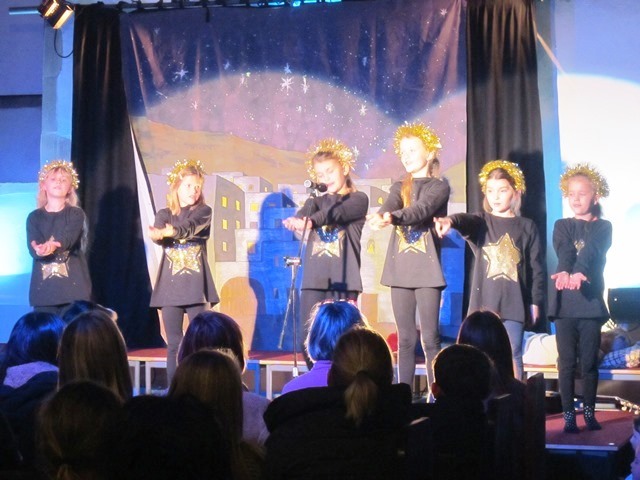 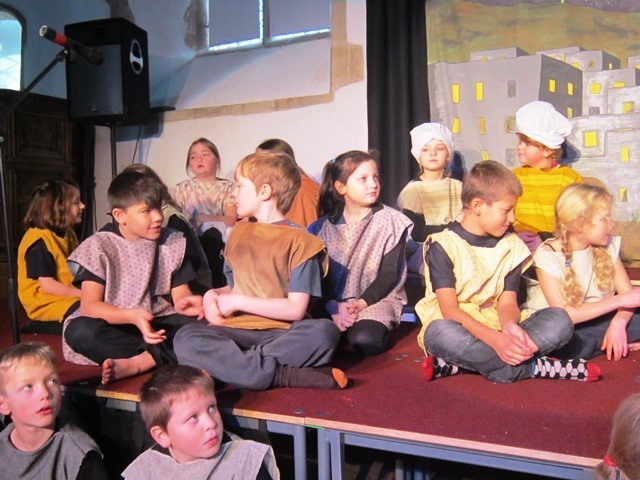 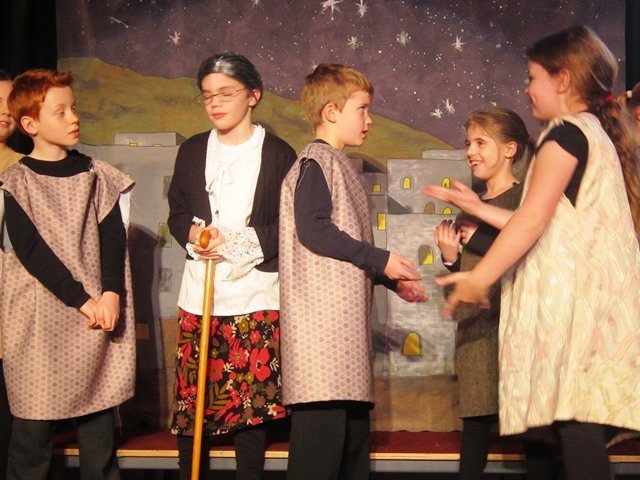 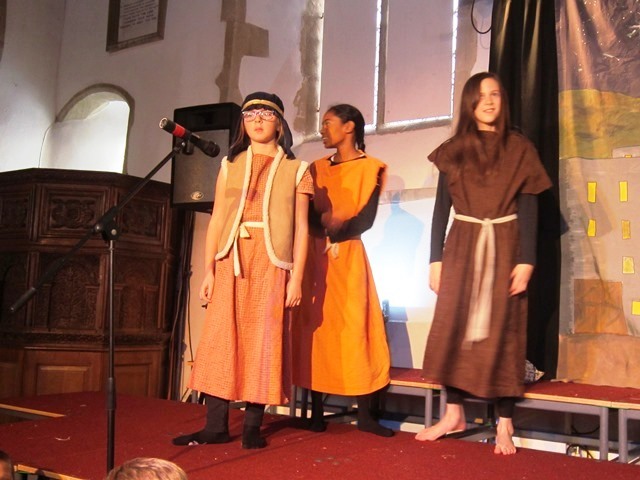 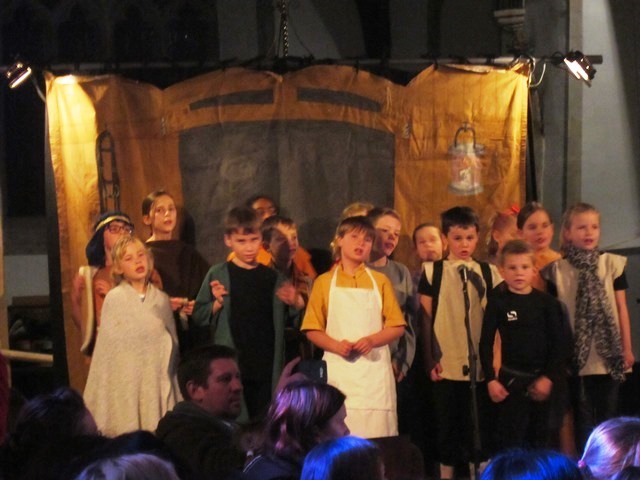 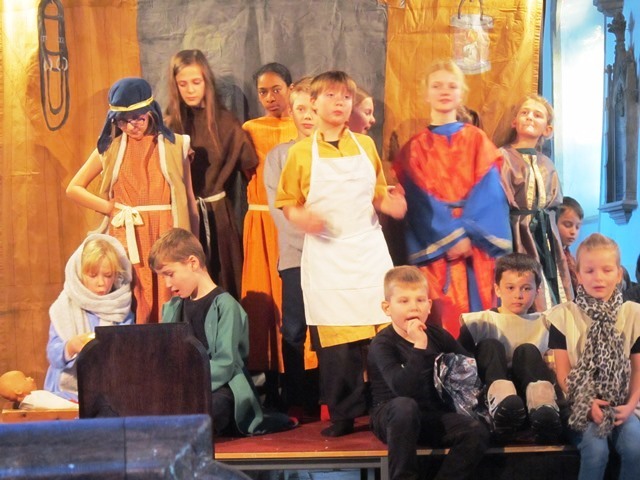 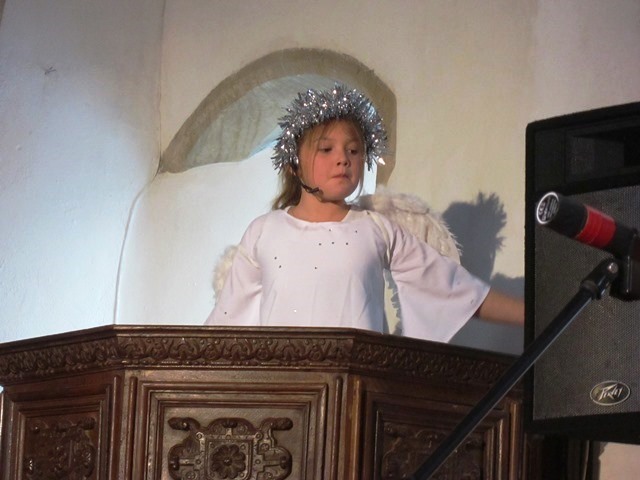 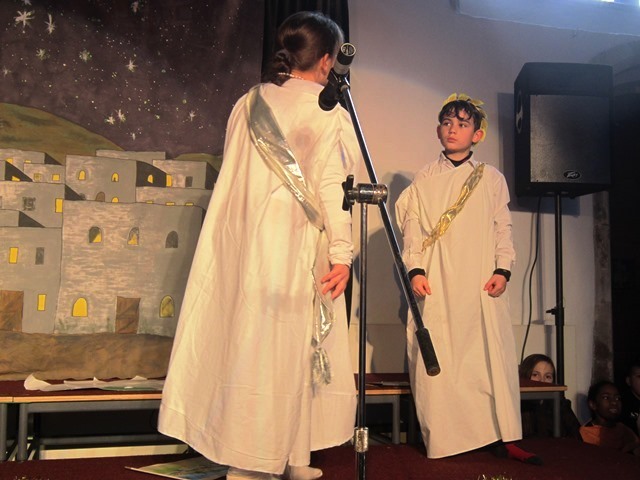 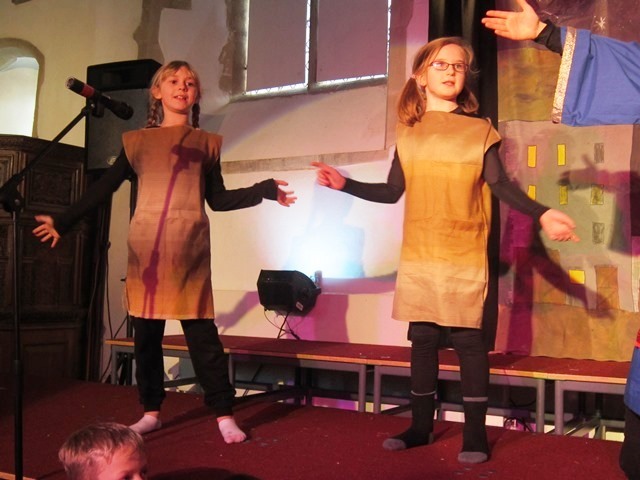 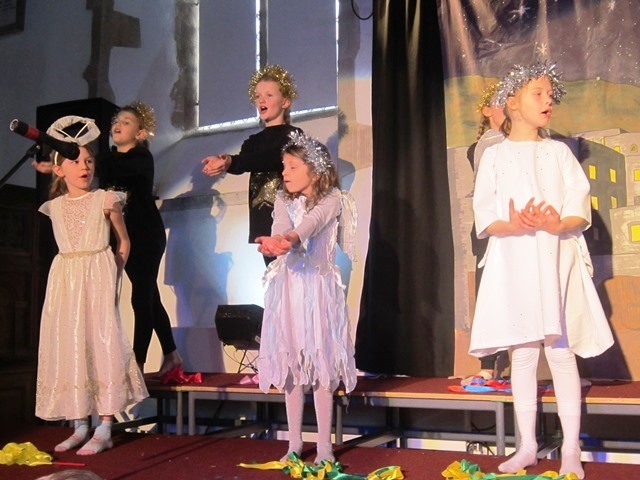 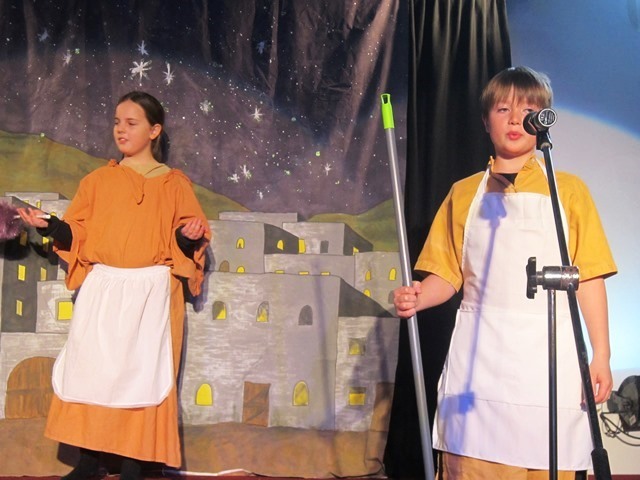 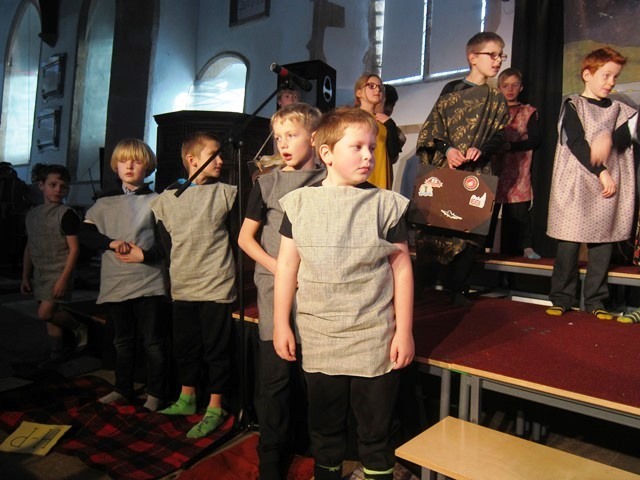 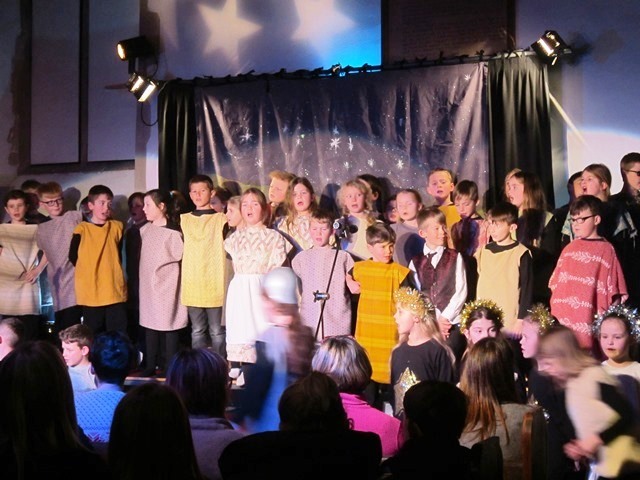 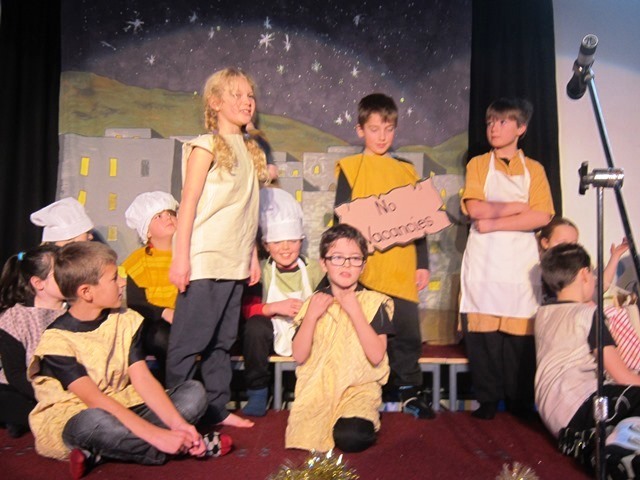 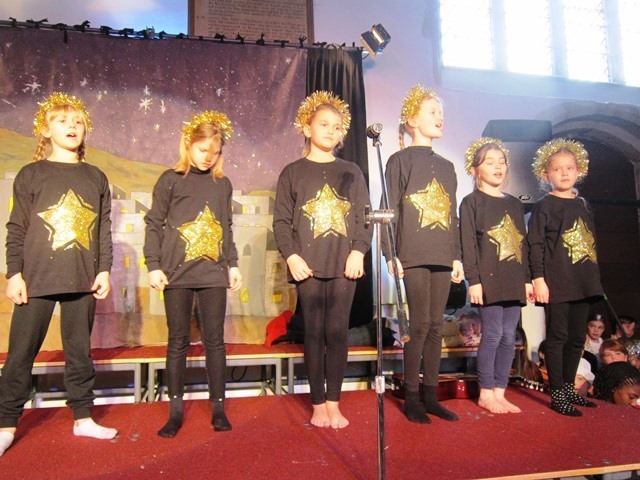 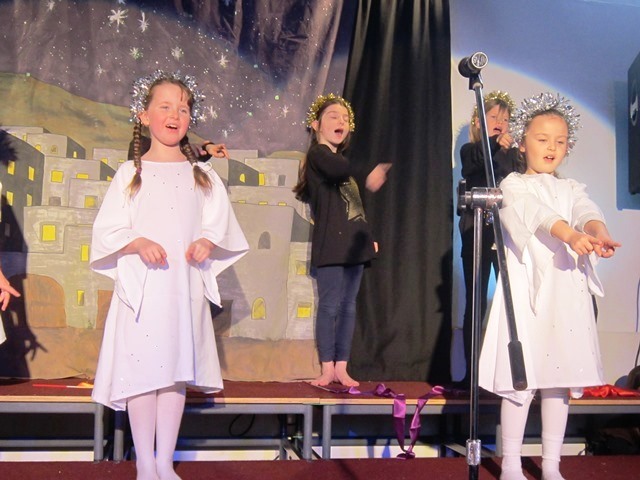 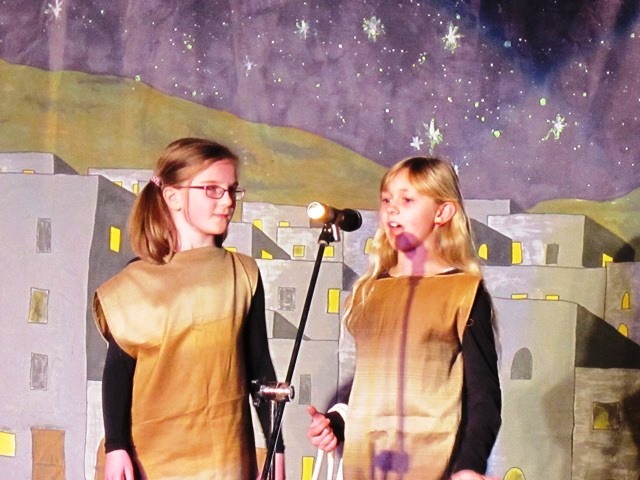 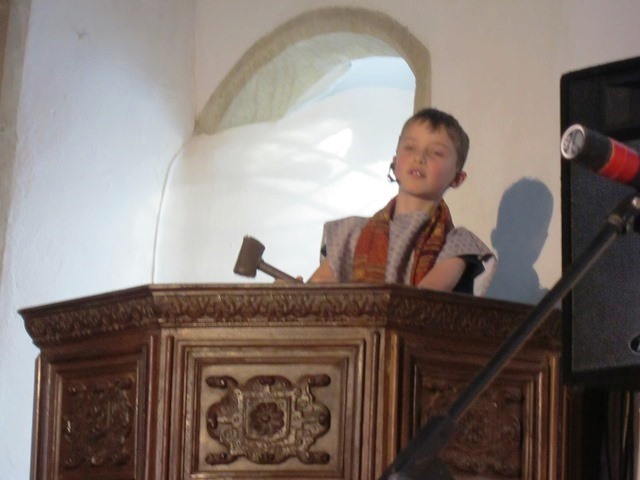 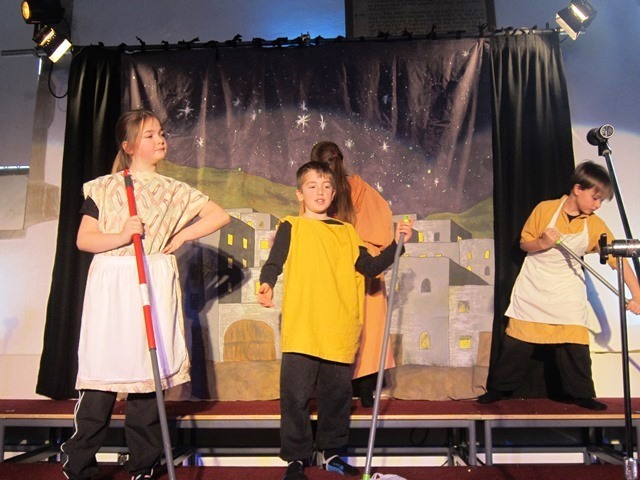 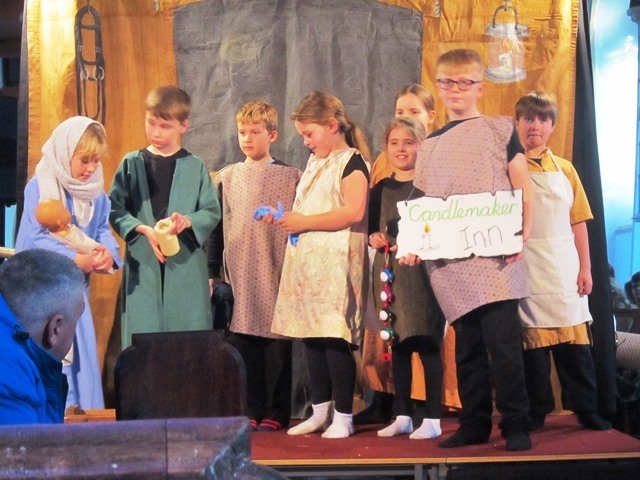 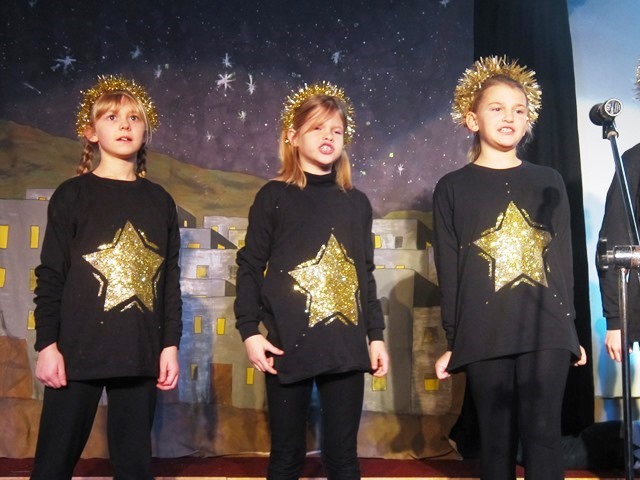 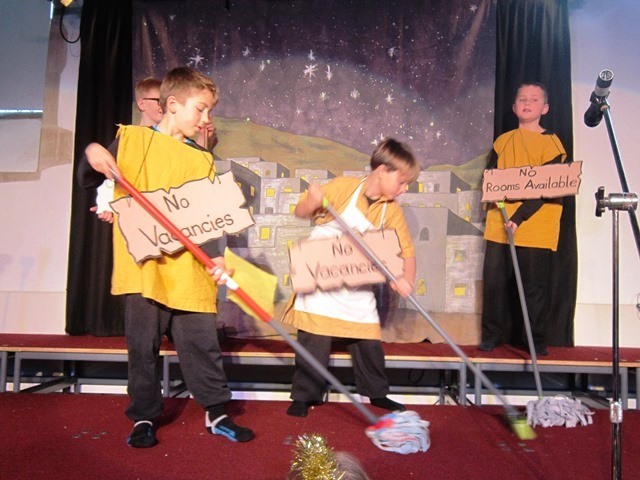 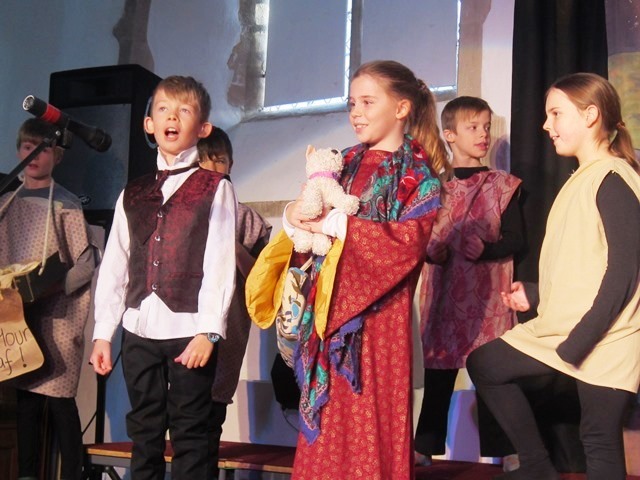 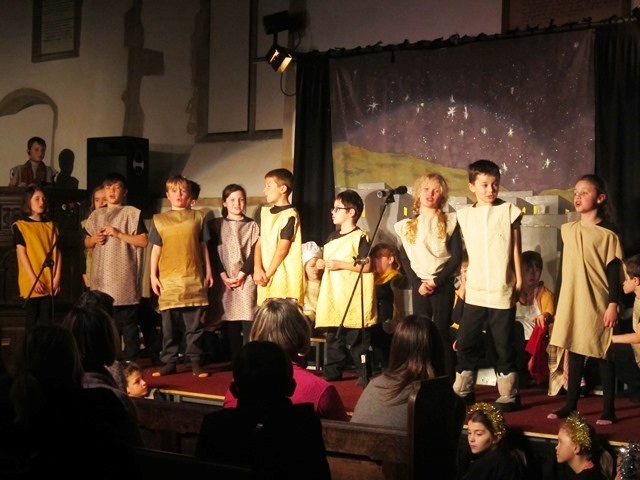 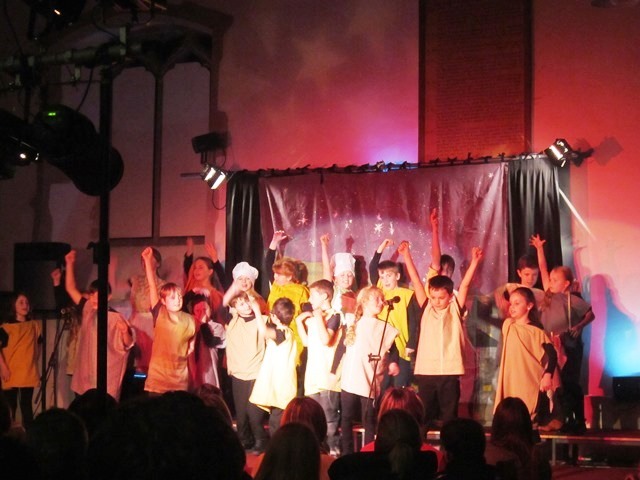 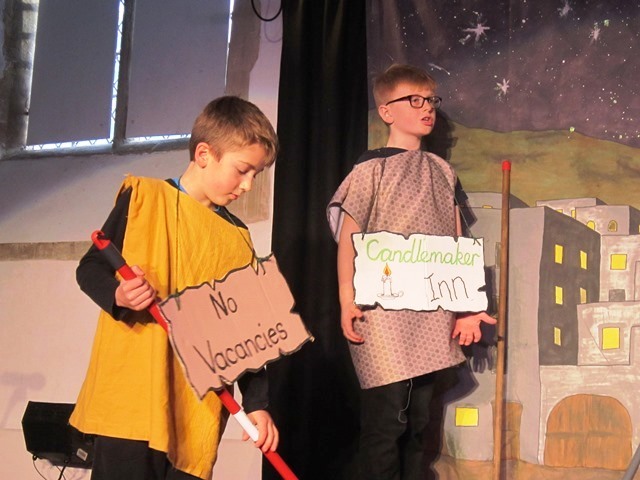 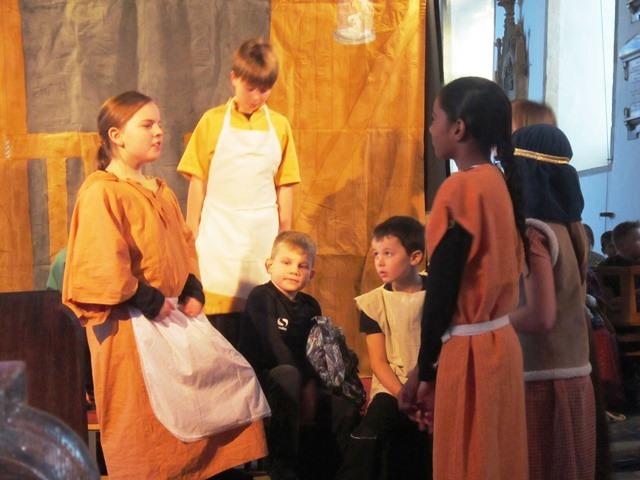 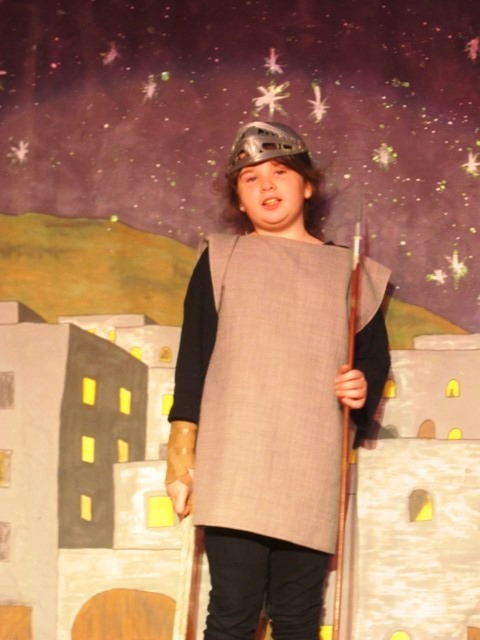 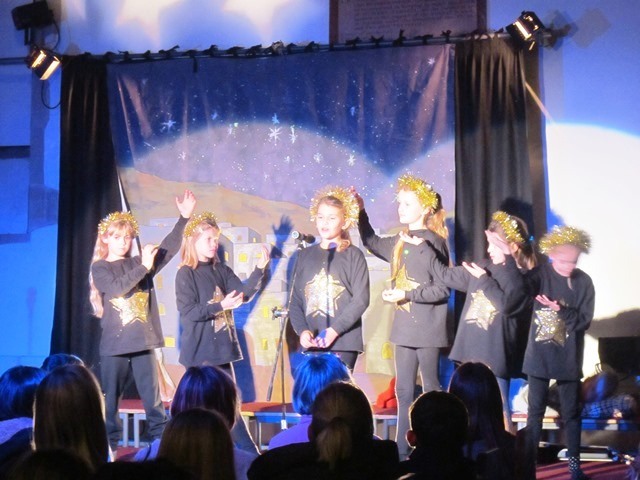 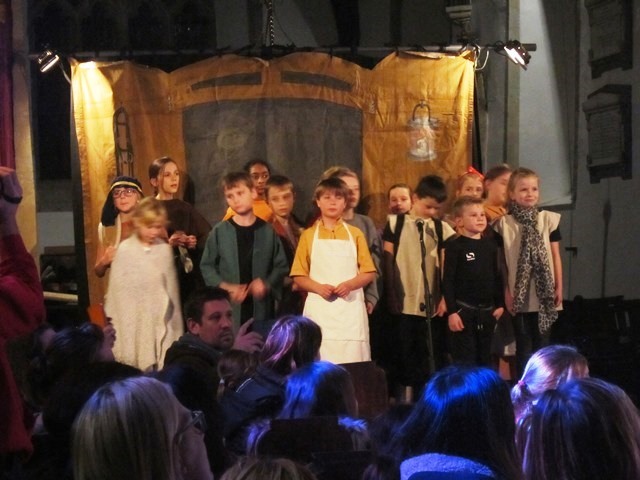 Years 3, 4 and 5 performed "Bethlehem, The Musical" at St Denys' Church. 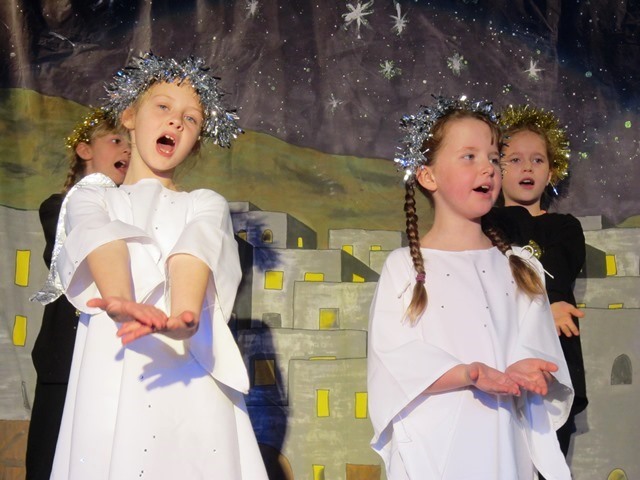 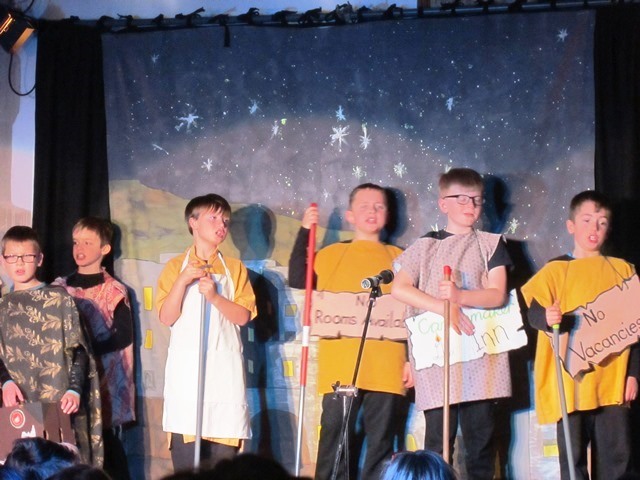 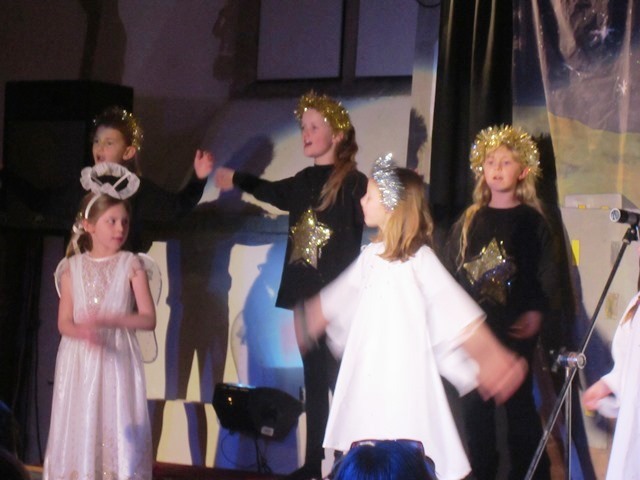 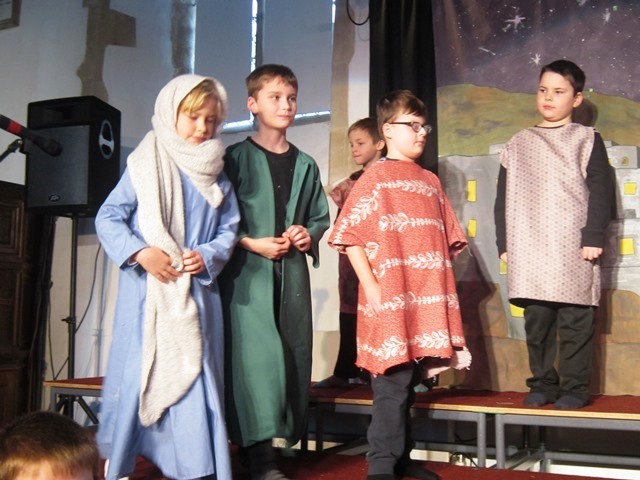 They put on a brilliant musical performance of the Christmas Story, with wonderful singing, dramatic acting and beautiful dancing. 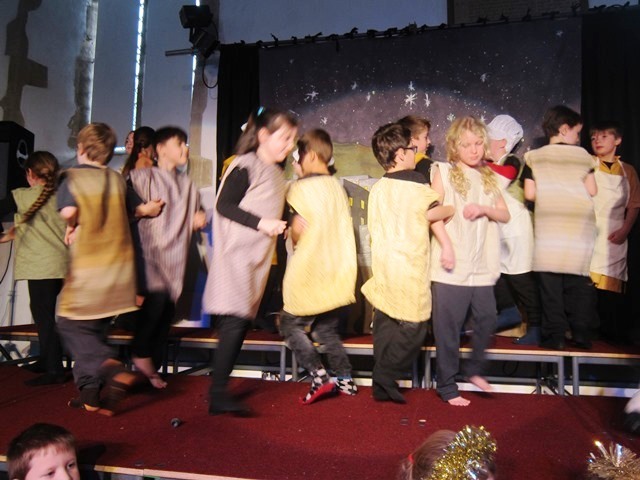 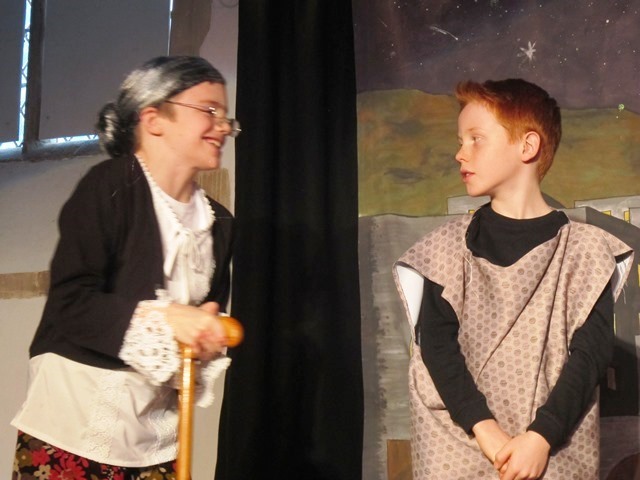 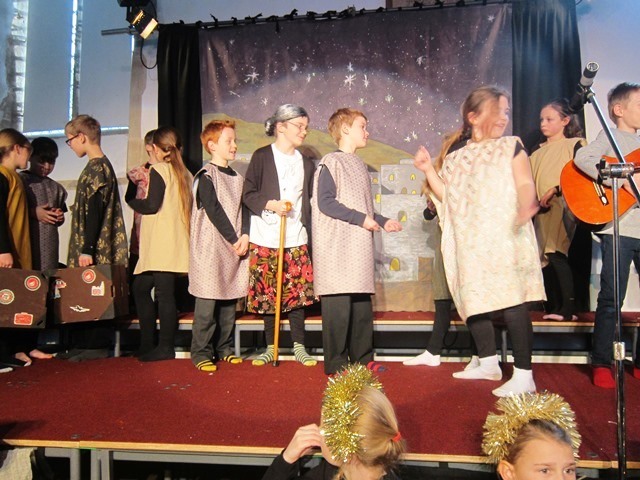 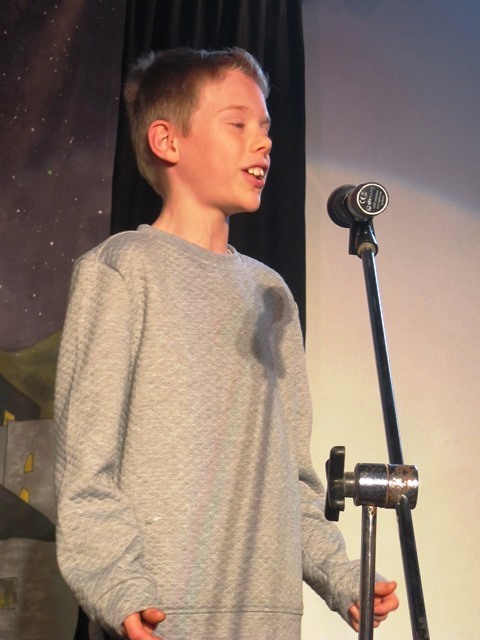 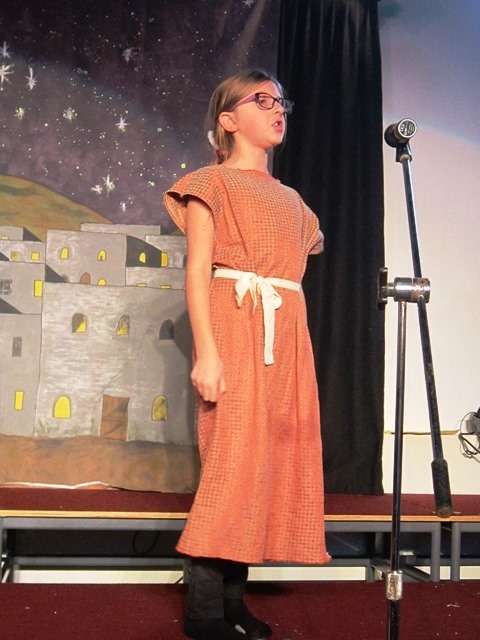 The children did so well remembering all their lines, the lyrics to the songs, their stage directions and dance moves. 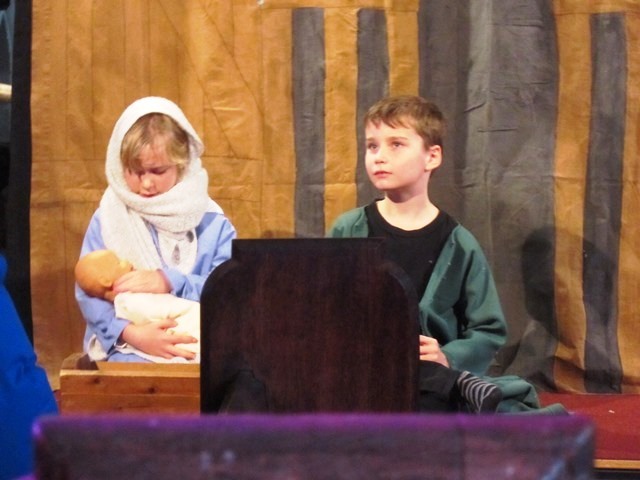 It helped remind us of the true meaning of Christmas. 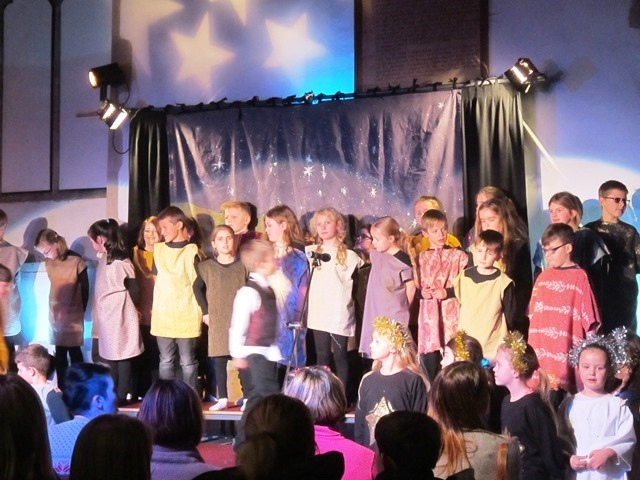 Well done to all the children - the stars of the show! 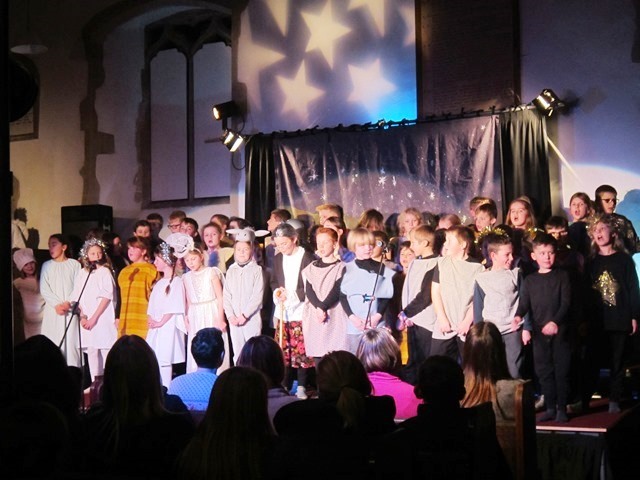 Thank you to all the staff who worked so hard on all the costumes, the scenery and putting the whole performance together. 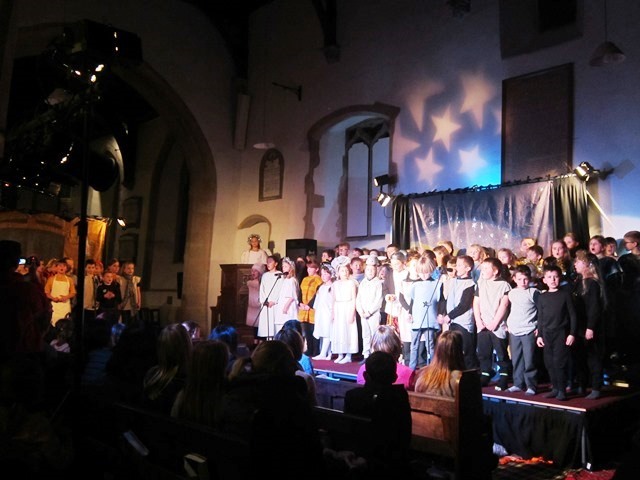 Many thanks to David Bailey for giving up his time to operate the sound and lighting. 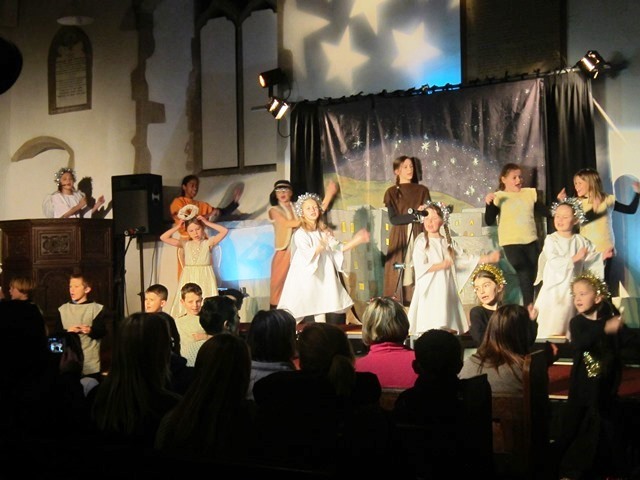 Thanks to the St Denys' team for letting us hold the performances in the church and making them more magical. 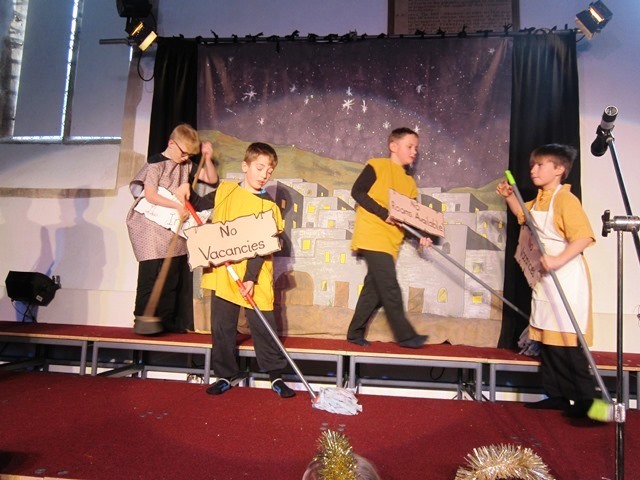 Many thanks to Andy and Sharon for helping me clear the church path so everyone could safely attend the performances. 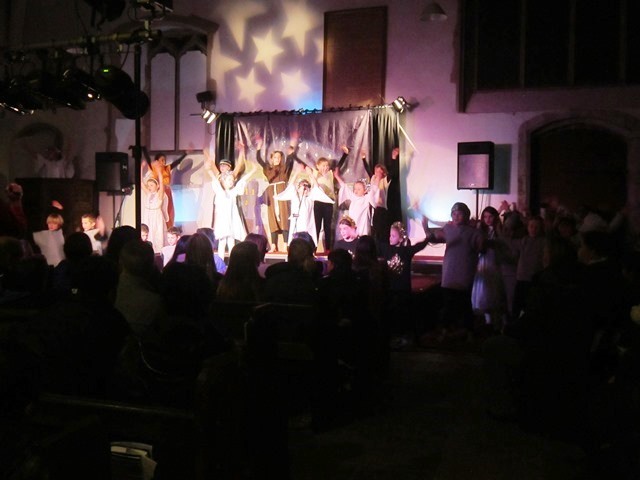 Many thanks to everyone who donated to the hurricane appeal at the end of the performances, we raised £145.48.